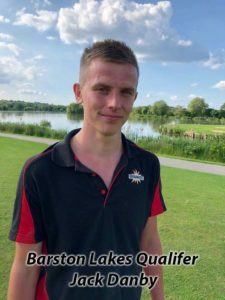 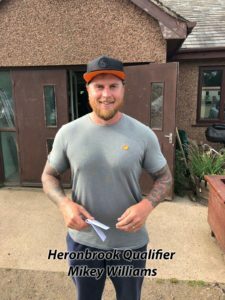 The long hard road of nationwide qualifiers finally concluded with the September 15th final at the popular Larford Lakes complex. 24 finalists attended the polished Gala Evening at a five star hotel in Stourport enjoying a 3 course meal, live entertainment and of course the all-important peg draw on the Friday before the final. 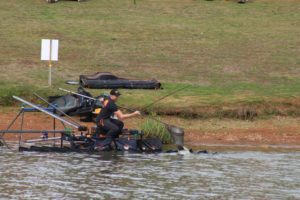 In terms of fancied pegs, Larford’s Match Lake was on fire in relation to the form guide. 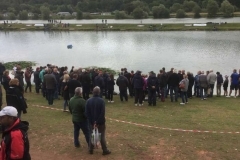 Clearly, the lake had its fancied pegs but the form book was saying it could be won from literally any peg. 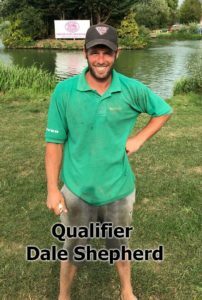 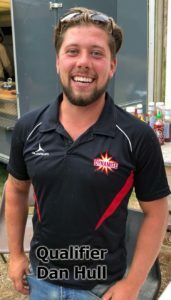 Dale Shepherd drew with fancied peg 4 (permanent peg12) as did Jake King, peg 5 (permanent peg 14) and Andy Power peg 6 (permanent peg 16). 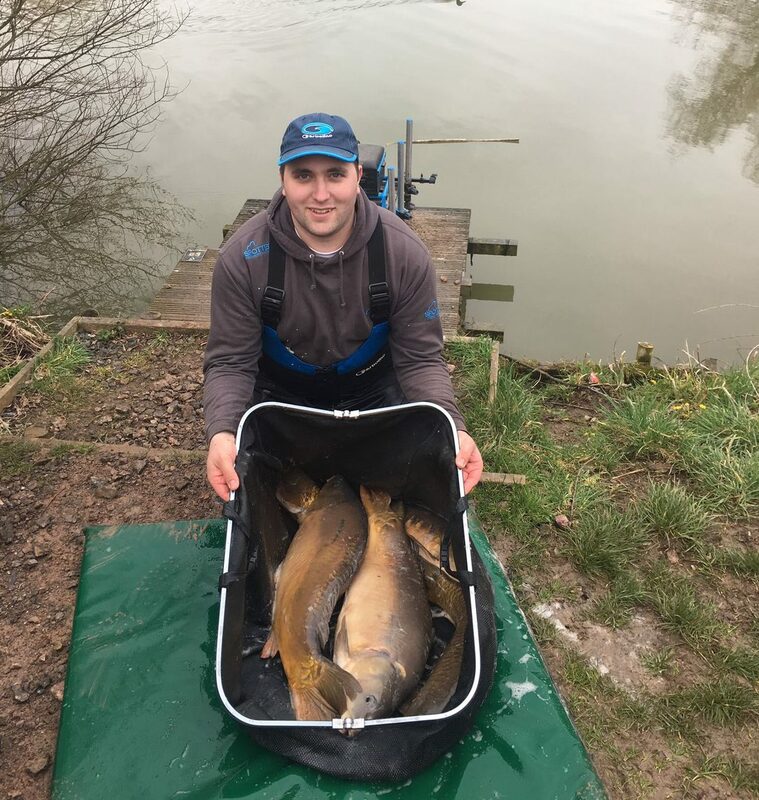 Mikey Williams, Ross Harold and Dave Roberts all drew well fishing the pegs in the channel facing the island and end peg 28 drawn by Dave Roberts. On the opposite burr bank, Richard Bond, Les Marshall, Pemb Wrighting, Jack Danby, Danny Bache and Adam Major had drawn inform pegs. 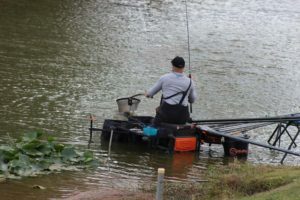 So the stage was set for a showdown like never before. 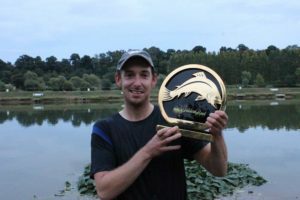 On paper, it was seen as one of, if not the strongest field of commercial match anglers ever to fish a major European final. 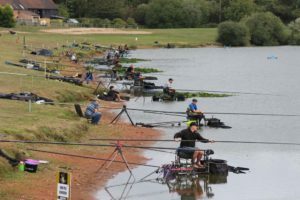 With £50,000 up for grabs to the eventual winner, £5,000 to second and £3,000 to third, plus £4,000 in section prizes, a massive £62,000 was the overall prize fund. 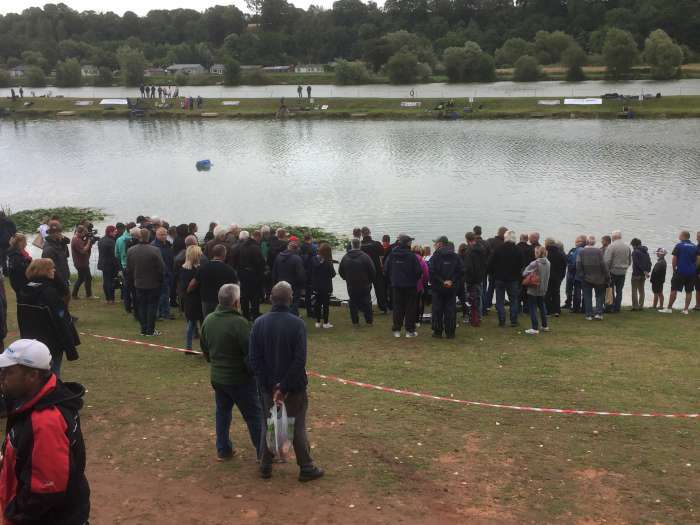 Fishing commenced at 12pm concluding at 5pm. 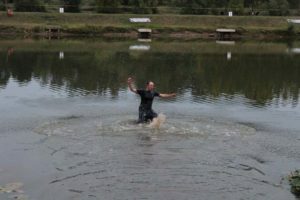 Conditions on the day were near perfect. 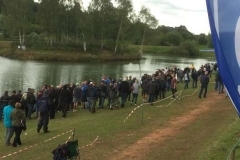 Early fish were caught in particular on the burr bank with Les Marshall taking an early lead from peg 14. 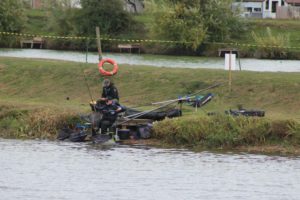 As the match progressed, the shallow bank, pegs 4,5,6,7,8,9,10,11,12 all started to catch well on both pole and bomb & pellet. 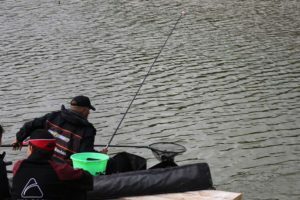 The peg that was most fancied was 28 but Dave Roberts found it difficult to get the fish feeding even though his peg was black with carp. 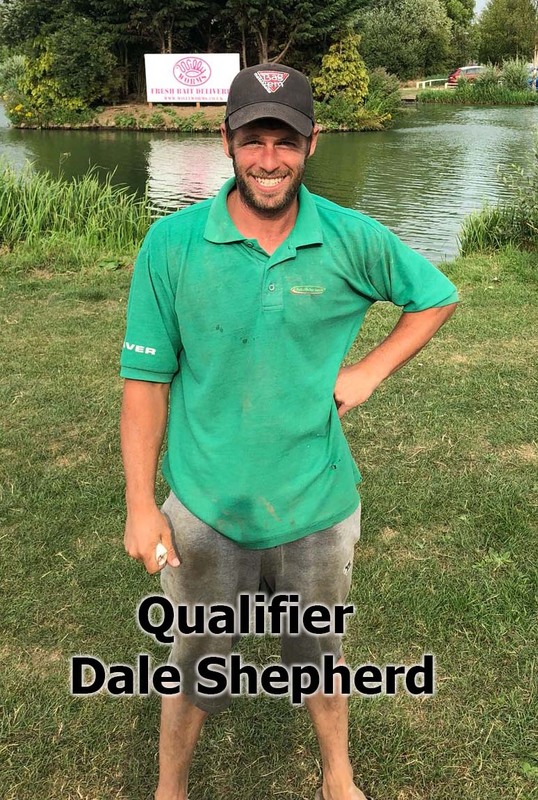 Dale shepherd, Jake King, Andy Power & Dan Hull were all clearly pulling away from the field but on the opposite bank, Richard Bond, Les Marshall, Pemb Wrighting and Jack Danby were finding quality carp on the short pole with hard pellet and paste tactics. 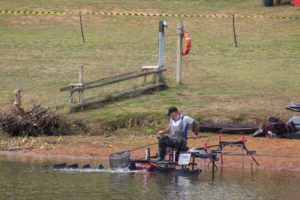 At the half way point, it was close between Andy Power, Les Marshall and Pemb Wrighting. As the match progressed, the class of Andy Power became evident. 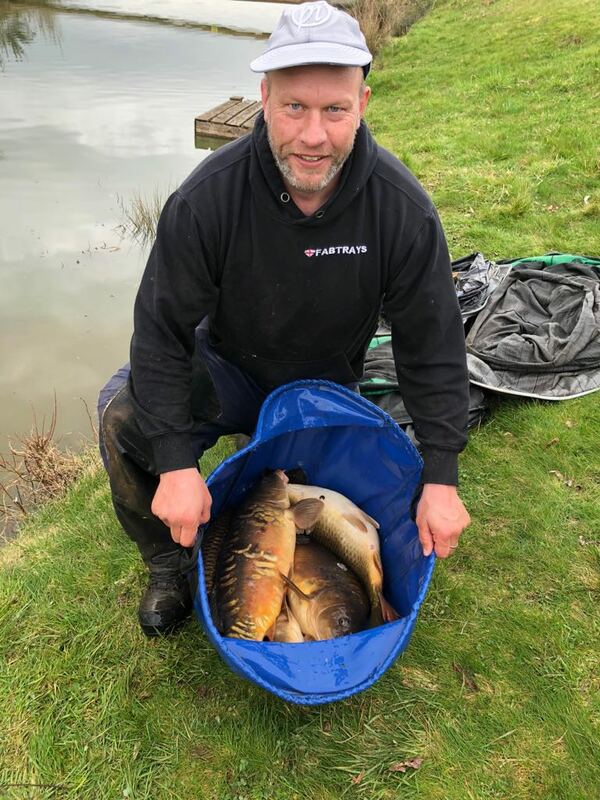 A string of quality carp to bomb and pellet clearly put him in the lead but was being chased hard by Pemb Wrighing, Les Marshall and Jack Danby on the burr bank. 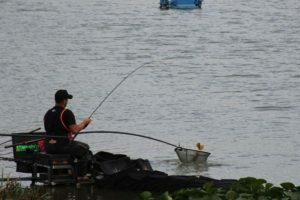 To Andy Power’s right was Dan Hull and Mickey Williams catching well and Ross Harold was also pulling back lost ground. With an hour to go, it really was a gloves off competition with at least 10 of the finalists in with a chance of lifting the trophy. 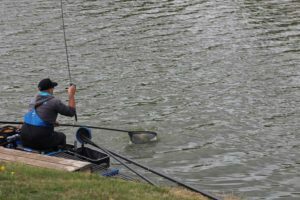 That all-important last hour produced some brilliant edge fishing. 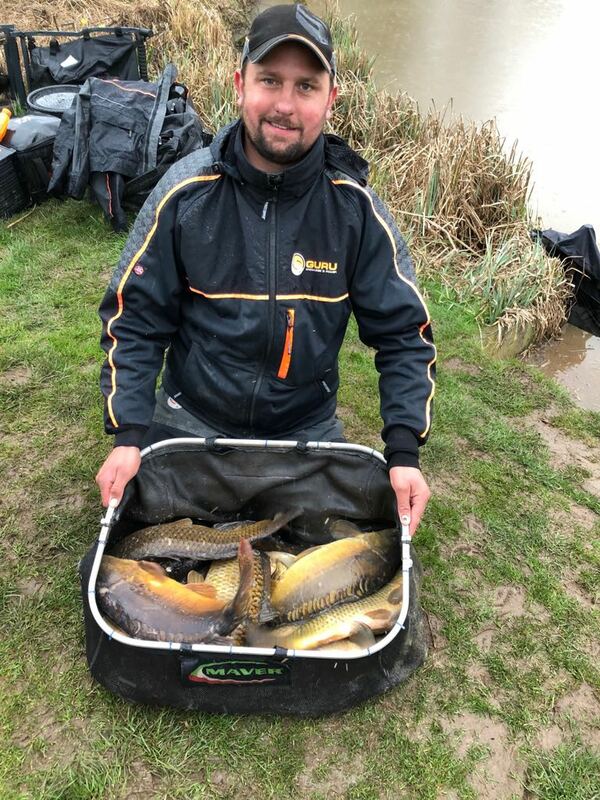 Andy Power was taking advantage of the carp feeding in numbers down his edge and at one point, probably had too many in his peg making them difficult to catch. 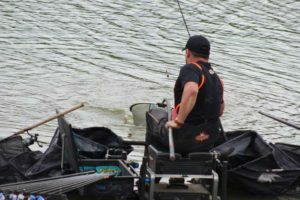 Dan Hull was catching well short and Mikey Willams was sacking down his edge and looking very dangerous. 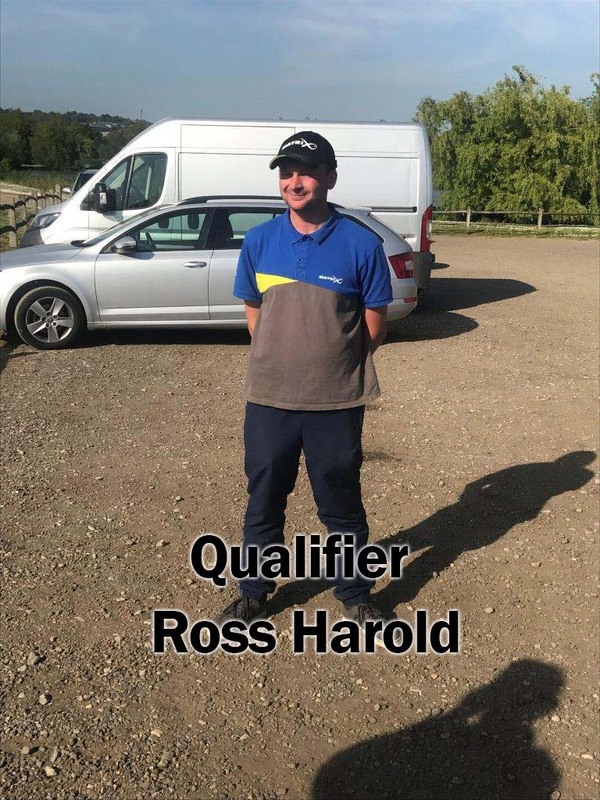 Ross Harold was fish for fish with Mikey with nothing between them. 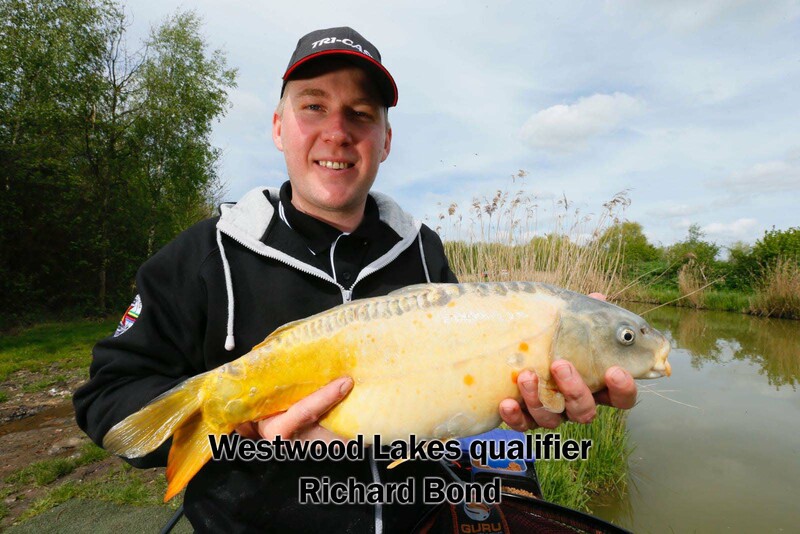 On the burr bank, Richard Bond was catching well down his edge as was Les Marshall, Pemb Wrighting and Jack Danby. 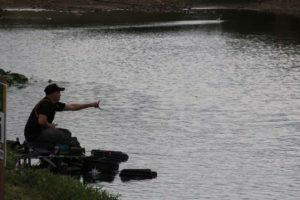 But had the other anglers done enough to overturn the master of modern day commercials? Well Jake King on peg 5 had fished a very tidy match sticking with the simple bomb and pellet approach. 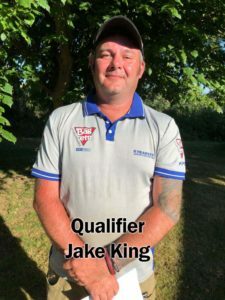 Jake weighed in a very impressive 52,500Kgs to secure second place overall. 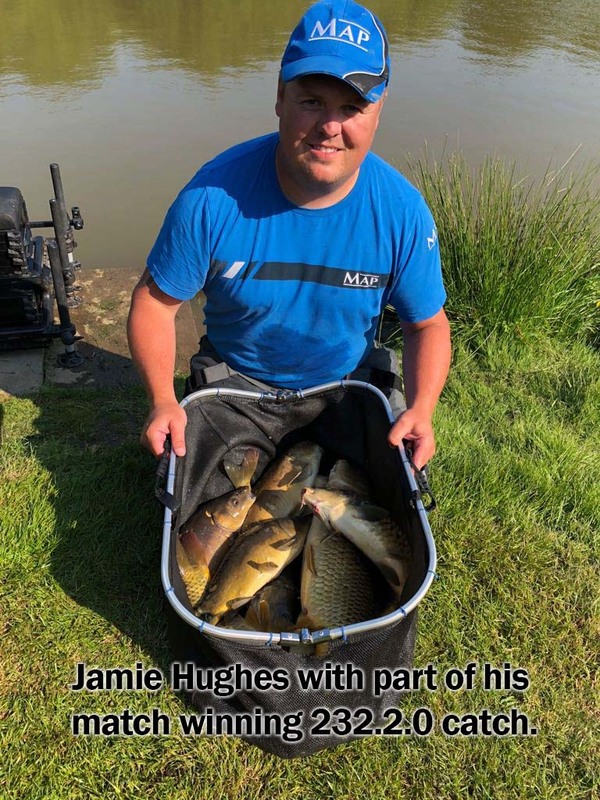 Third to the frame for big money was Jack Danby from peg 16. 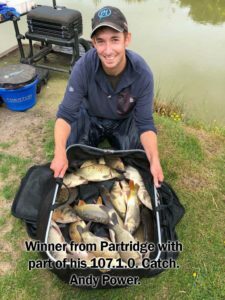 Jack’s run of big edge fish boosted his weight to a superb 51-925Kgs. 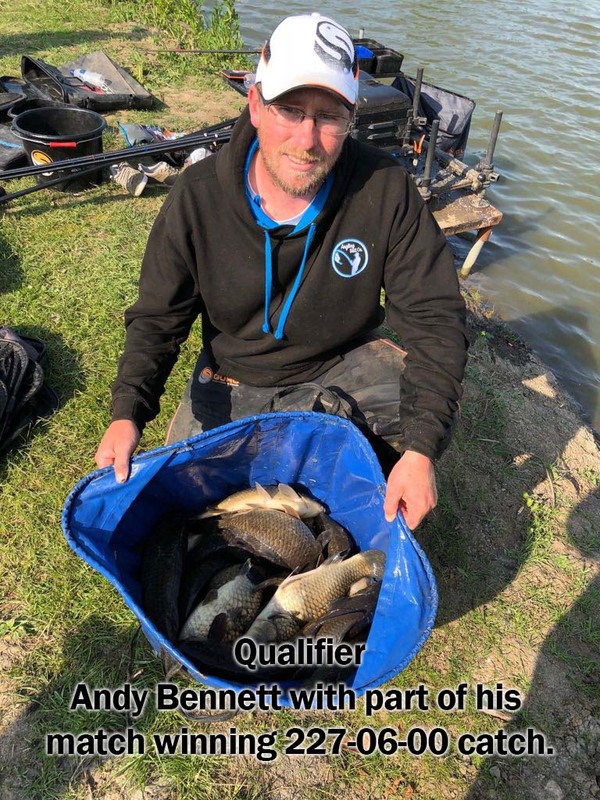 Fourth overall was Andy Bennett from peg 20. 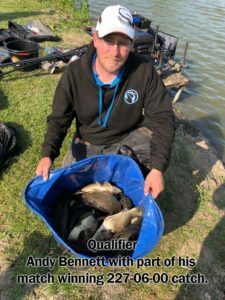 Not such a fancied area and we let Andy B slip under the radar to a degree. Although we new he’d caught steadily, we didn’t realise the quality of the fish he was landing and at the scales, he weighed in a very impressive 51-375Kgs. 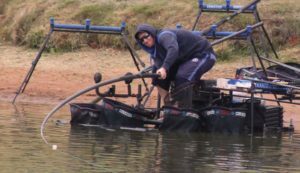 So a brilliant weight of 77-000Kgs was recorded by Andy Power, 25Kgs in front of his nearest rival. 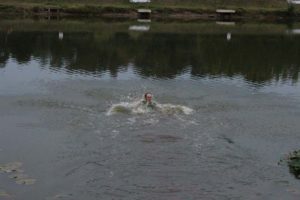 That being said, look how close the chasing pack were. 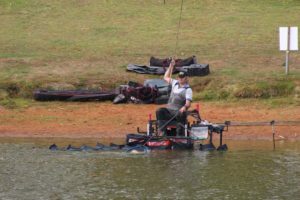 So in all, 10 weights over 100lbs were registered from a field of 24 of the finest anglers in the country. 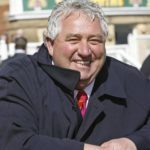 Well done Andy Power, richer by £50,000 and so well deserved. 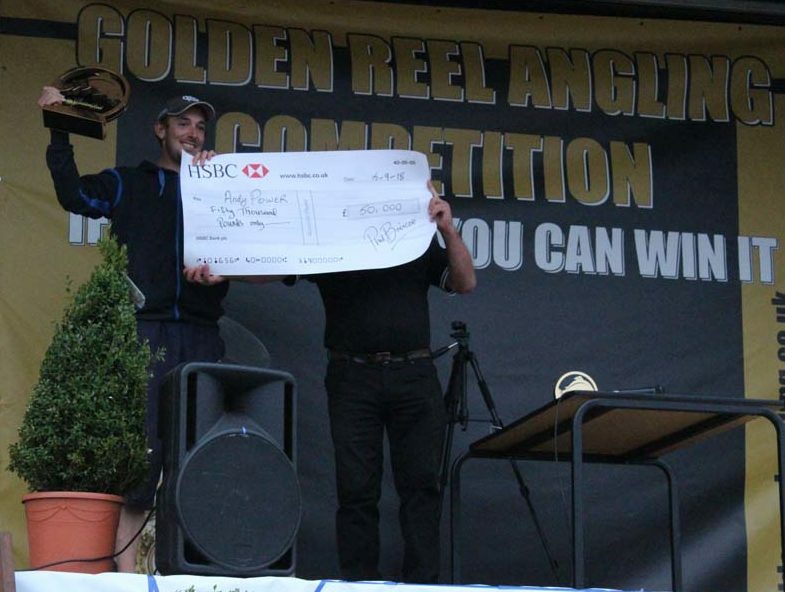 Very well done to Jake King, 2nd overall & collecting £5,000, Jack Danby, 3rd overall & collecting £3,000. 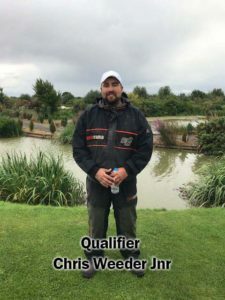 Next up is the Golden Rod Feeder Championships with £26,800 prize fund up for grabs with several qualifiers already sold out!! 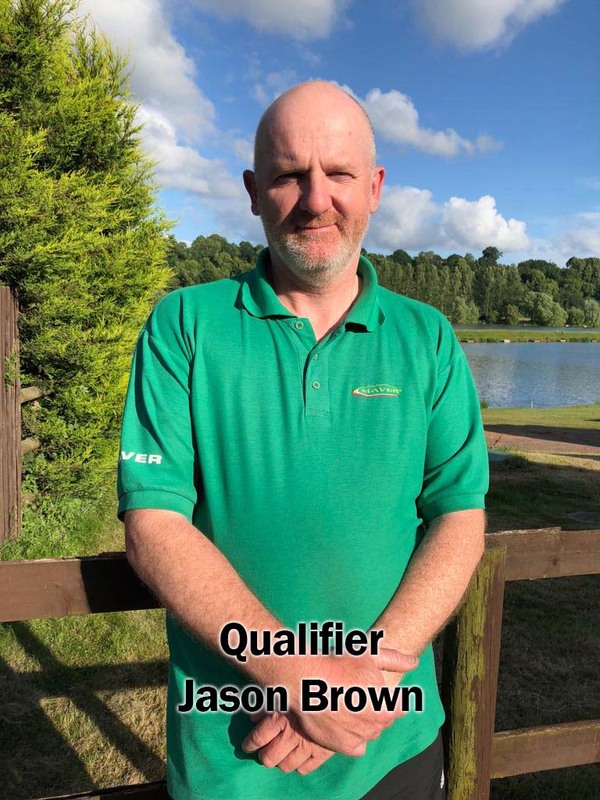 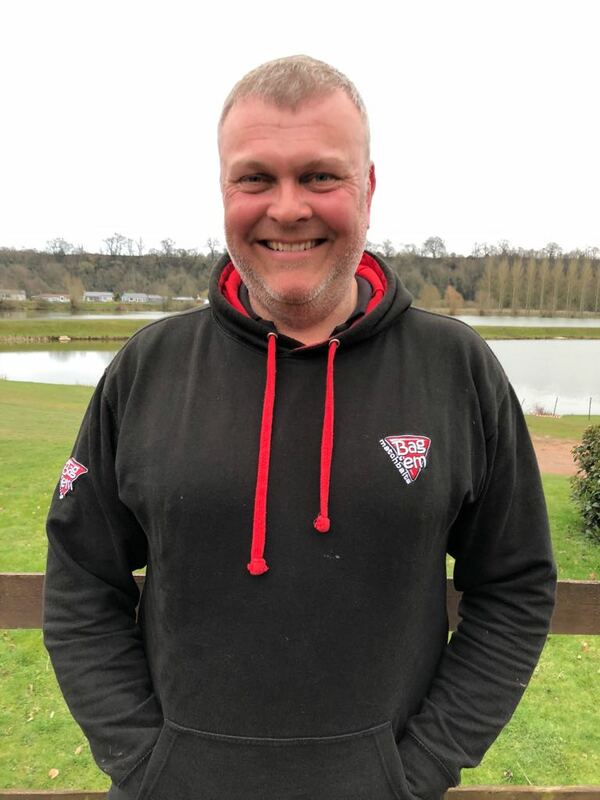 So, here we are, an intensive program of 24 qualifiers which kicked off at the Viaduct fishery back on the 24th March 2018, and concluded at Larford Lakes on Saturday 25th August. 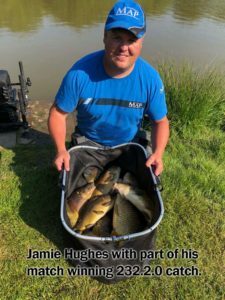 Despite intense pressure competing against other high profile angling events, the winners purse, second & third place remains at the figure I always promised. 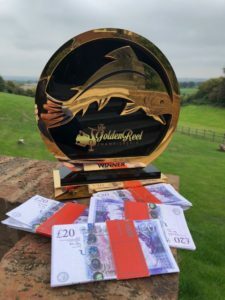 The Golden Reel Champion will walk away with a massive £50,000, 2nd £5000 and 3rd £3000 add the four section prizes of £1000 every 6 men and the total payable will be a massive £62,000. 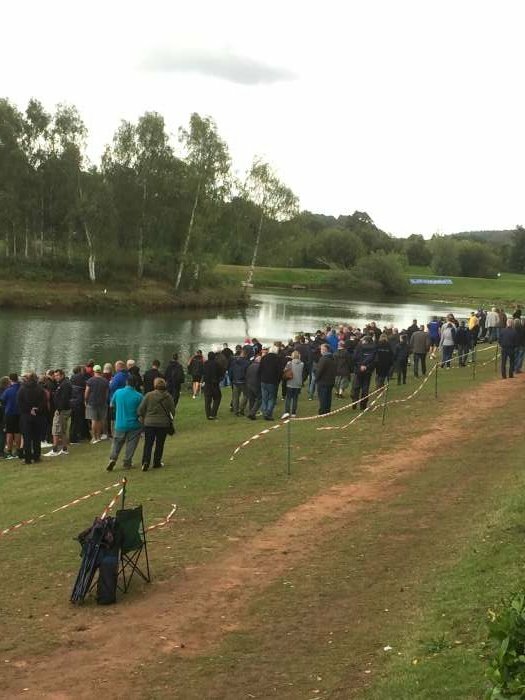 Ticket sales for this year’s event were disappointing due to a number of date clashes, an over serviced angling diary and a world cup football programme that didn’t help. 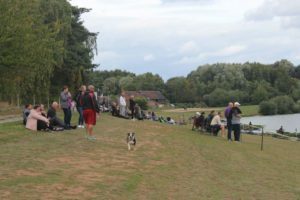 Despite numbers for our event being down on last year, our focus is aimed at increasing support for our 2019 event. 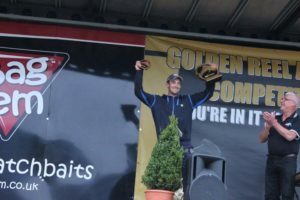 Yes, Golden Reel will enter its third year and continue to raise the profile of our sport placing it firmly alongside other high profile sporting events. 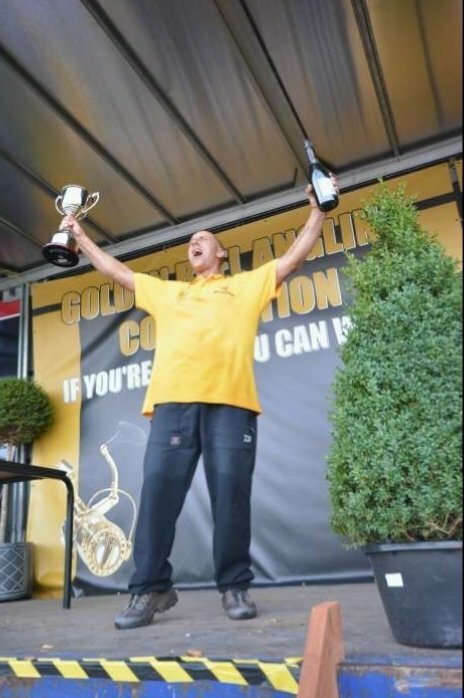 So we need your support and again I will promise a spectacular competition. Take a look at the big names in our 2018 final. 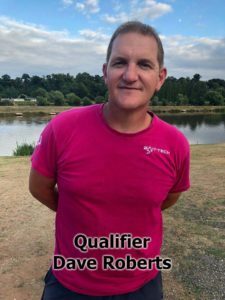 On paper, it is probably the most powerful and talented final ever. 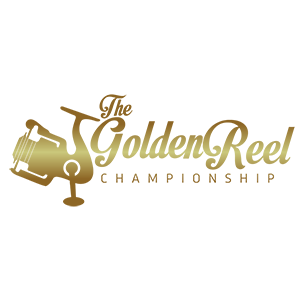 The draw will take place on Friday 14th September at 9:30pm, streamed live to Facebook on our page and Catch More Media’s page. 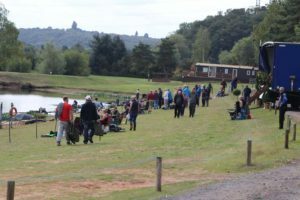 Join us at the popular Larford Lakes complex Nr Stourport on Severn on Saturday, September 15th 2018. 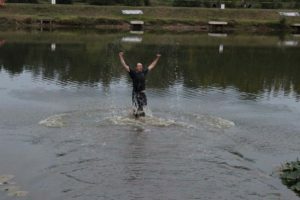 Parking and entry is completely free. 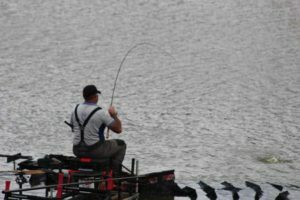  Demonstrations on the river with double handed salmon rods, single-handed trout rods, spinning and lure fishing. 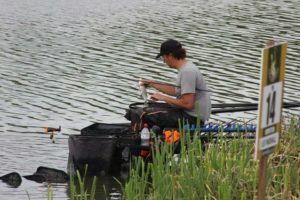 We have a team of highly skilled salmon anglers who join us from Newcastle-Upon-Tyne. 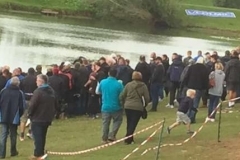 The final commences at 12pm to 5pm with the presentation taking place at approximately 6pm. 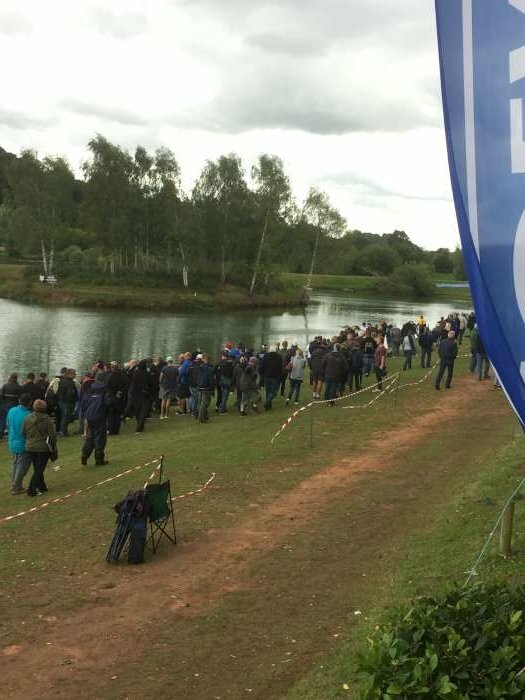 Live coverage with commentary from Phil Briscoe and Catch More Media’s Tom Scholey. Don’t miss the most powerful line up of anglers ever to compete head to head for the prestigious Golden Reel Trophy and a massive £50,000 winners cheque. 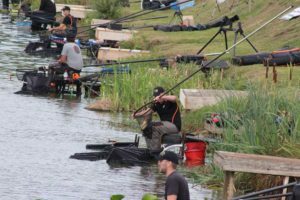 The long hard road of 24 nationwide qualifiers concluded presenting the ultimate Grand Final hosted at Colmic / Bag’em Larford Lakes. 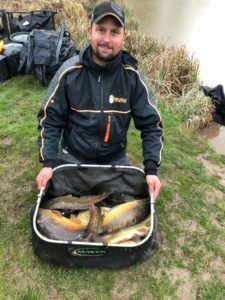 Six months of qualifiers, fished at the country’s top venues throughout the UK provided the opportunity for the 24 grand finalists to pocket the massive £50,000 first prize and crown of Golden Reel 2017 Champion. 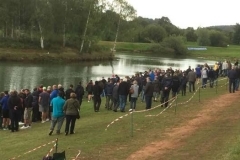 The draw was concluded on the Friday 18th August gala evening so to set the stage for 24 of the country’s finest anglers to go head to head for a total prize fund of £62,000. 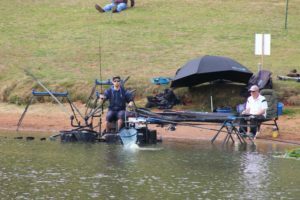 The draw was kind to some and difficult for others and heavy rain on the eve of the final reduced the water temperature and pocketed the fish together. 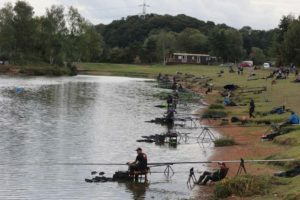 The fancied pegs didn’t produce the weights expected and area’s that were not potential winning pegs performed well. A new champion was crowned from Peg 4 (permanent peg 12) being Stuart Fotheringham (Marukyu) from Leeds. 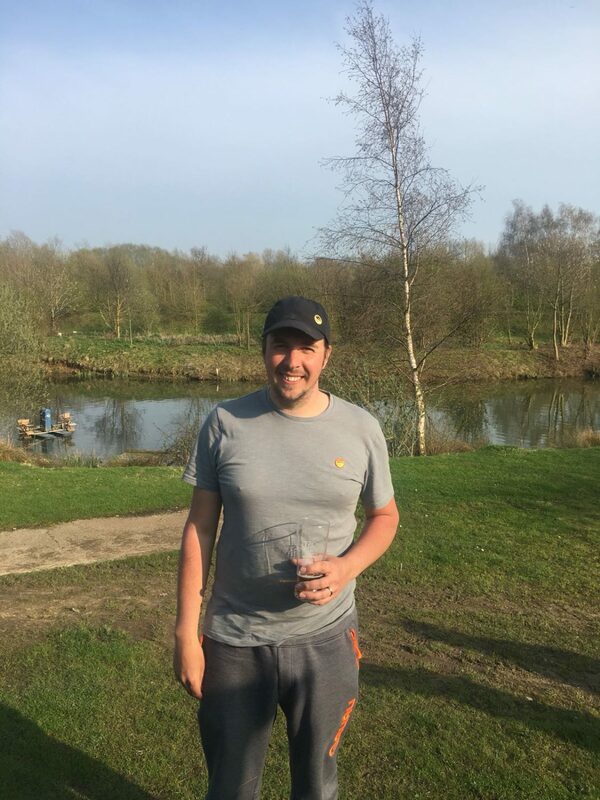 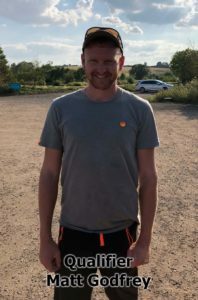 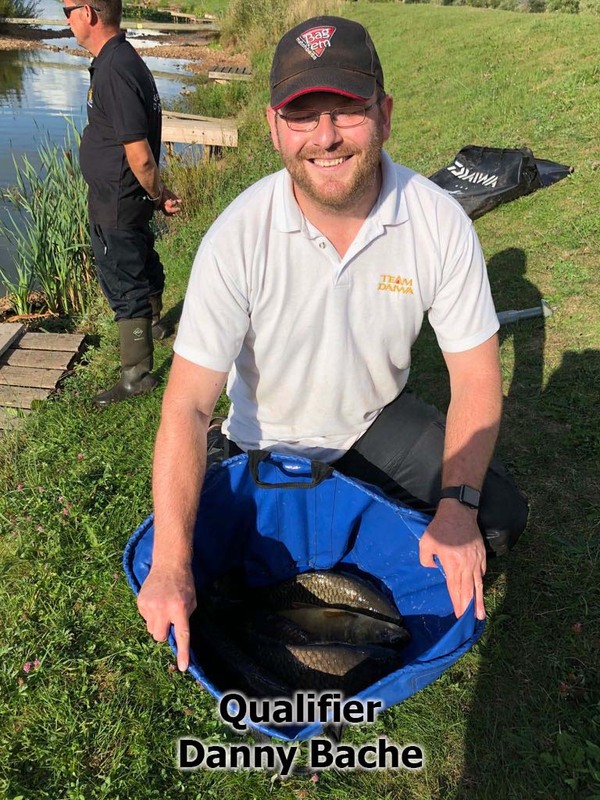 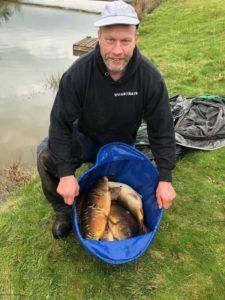 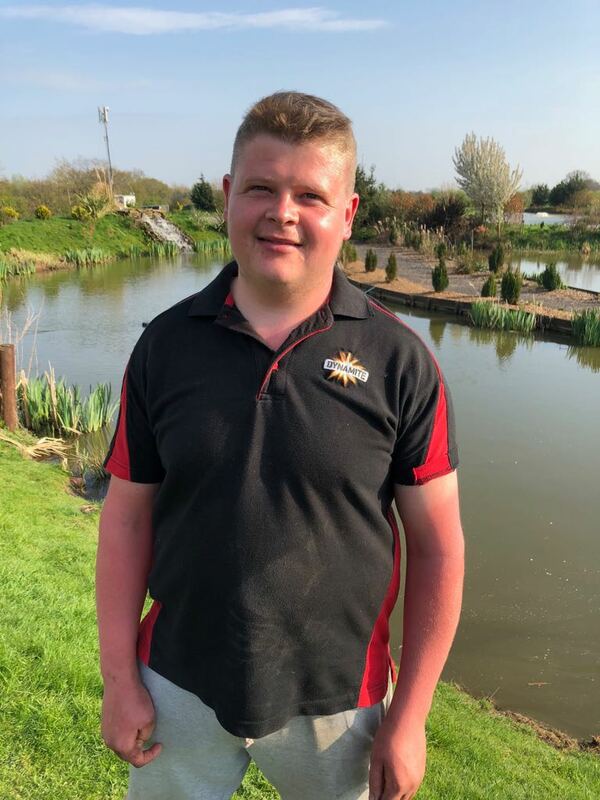 Stu, who qualified at Larford Lakes back in July 17, had applied some productive practice sessions and knew the peg he’d drawn was likely to be a bomb & pellet or method feeder attack. As soon as the whistle started the five hour final Stuart was straight into fish, landing carp throughout the entire match to finish the day with 147-02-00, 40lbs clear of his nearest rival. 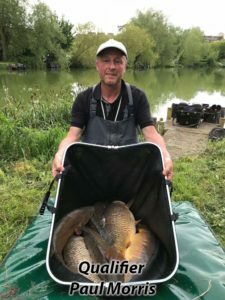 Feeding 8mm pellet every cast and fishing bomb & 8mm hook pellets, the tip was constantly being pulled round and there was never a need to come off the feeding fish or change his approach in any way. 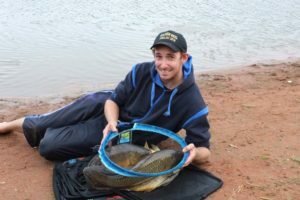 Fishing machine Andy Bennett (Guru) drew Golden Reel peg 9 (permanent peg 22). 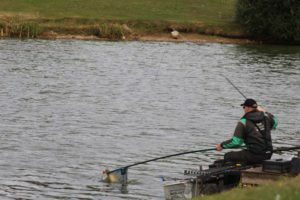 Andy’s approach was method feeder fishing tight to the island which produced some early bites and a few good carp but keeping the bites coming became a problem. 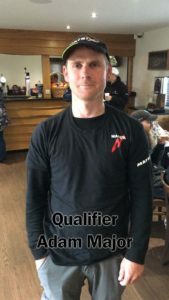 On the final whistle, Andy placed 107-15-00 on the scales to secure second place overall and a cheque for his efforts totalling £5000. Third on the day was Staffordshire’s Craig Goldstraw (Middy) who drew peg 6 (permanent peg 16). 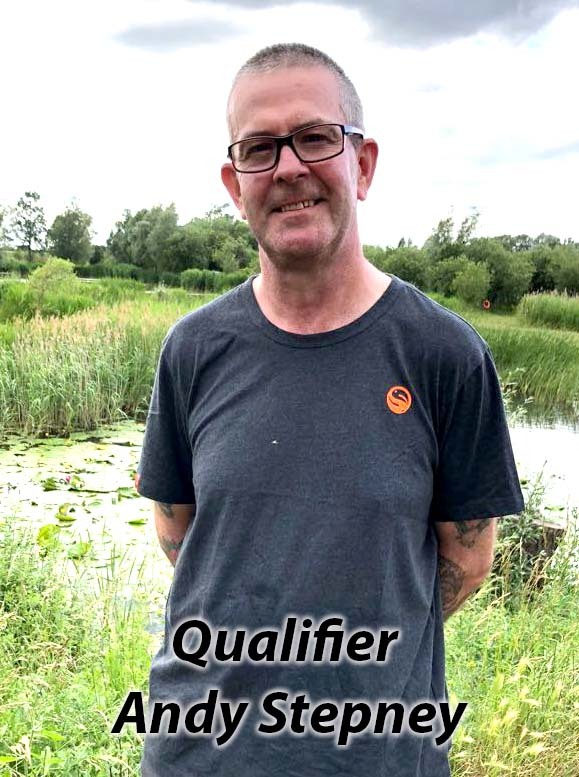 Craig’s approach of method feeder with small waffter baits produced the bites required landing quality carp for a total weight of 90-12-00 and a fat third placed cheque payment of £3000.